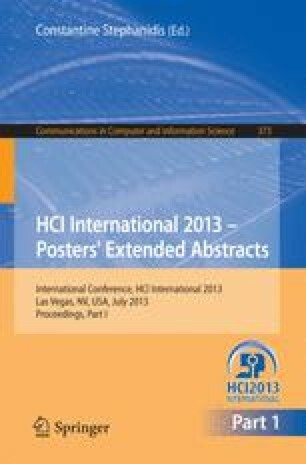 HCI system design has largely been focused towards urban areas, the technology and the infrastructure of such environments. Researchers are often unaware of the local, real-word context and the restraints that this can have upon the both the interactional possibilities and use of their systems in rural-settings. Over the past decade, new developments in mobile and ubiquitous computing now make it possible for users to move beyond the urban fringes and into areas that are ’on the edge’ of connectivity. Many modern systems take advantage of the Internet capabilities and being "always connected" to provide rich dynamic content, which sits within this always on and always connected model. Systems where data connectivity is relied upon can become redundant in rural spaces, where often, mobile signal is weak and connectivity unreliable. Popular digital services such as Google Maps work well in urban areas however, such services lack the detailed information required for use in rural areas and expect the user to have a good level of connectivity. This paper draws upon our research in HCI, system development and the issues relating to understanding the design and development of rural systems with real-world communities. We focus our research in this rural setting in order to provide appropriate interaction and reliable methods for improving mapping in rural spaces. We highlight the features of our research through outlining a set of principles and discussing an online and mobile solution to allow people to create mobile digital books, made up with rich multimedia, about the places they visit and activities they engage in.